Music streaming service Rdio relaunched its Android, iOS and web apps Thursday with a new focus on personalized radio streams. The relaunch comes in conjunction with the launch of a new free tier that is meant to help accelerate Rdio’s growth while also opening up a whole new revenue stream based on advertising. It’s [company]Rdio[/company]’s most ambitious relaunch to date, and it could be critical to the company’s attempts to compete with Spotify as well as the Apple-acquired [company]Beats Audio[/company] as well as the true audience magnets in the digital music space: [company]Pandora[/company] and [company]YouTube[/company]. Rdio’s transition from a purely subscription-based service to one that more squarely competes with Pandora has been a long time coming. Company representatives first told me about plans to incorporate leanback-type listening in early 2012, and Rdio launched personalized radio stations that were modeled after Pandora a year ago. At the same time, the company’s business evolved from a singular focus on subscriptions towards one with multiple revenue streams. The most significant step in that direction was a pact with U.S. radio giant Cumulus that included Cumulus buying a stake of up to 15 percent in Rdio, as well as a partnership on ad sales for a future online radio service. 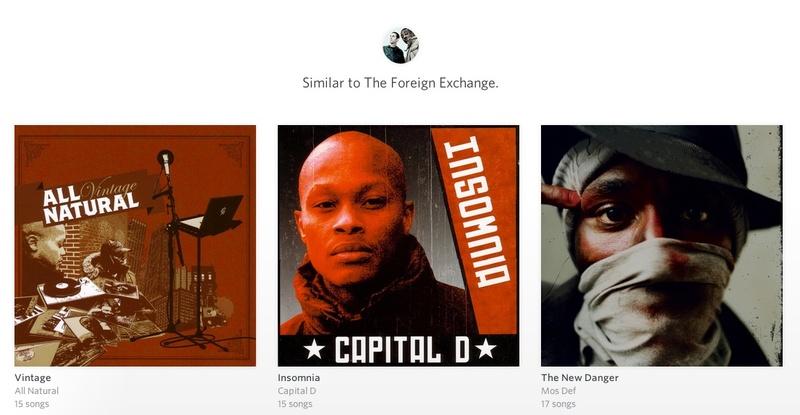 From the new Rdio newsfeed. Rdio went on to strike partnerships with other terrestrial radio networks in other key markets, and Rdio’s SVP of Product Chris Becherer told me this week that the company is now launching a free, ad-supported radio product in 20 of its 60 markets. With those partnership also comes a new focus: Sure, the company would still love for users to eventually pay for its service, but it doesn’t mind if a significant amount of users stays with the free tier. “We have a business model that supports that,” Becherer said. Embracing free streaming also meant for Rdio that it had to change how users experience its service. In the past, free streaming always felt like a very limited proposition. Now, Rdio retooled its entire onboarding process as well as the home screen of its apps and website to make free users feel more welcome. 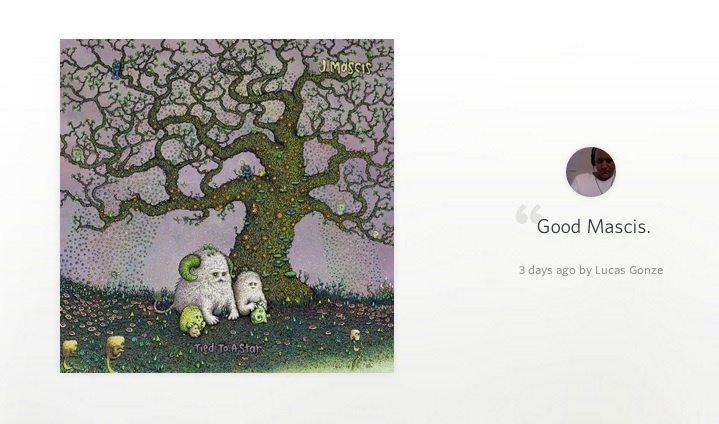 Gone is the long list of album covers that used to greet Rdio users, and gone is also the contact list that always made Rdio feel like it wanted to be a chat service without the ability to actually chat. Replacing all of this a new news feed-like experience that Becherer likened to Facebook, but that actually is a lot more like YouTube’s homepage, albeit with a better, far less busy design. Rdio’s news feed always offers users access to the albums, radio stations and playlists they’ve listened to most recently, and then adds a mix of curated recommendations, deep dives on certain artists and social cues. Part of the Rdio newsfeed are comments. As part of the relaunch, Rdio also did a whole lot of clean-up around the edges. Synced tracks, which premium users can play on mobile devices without internet connectivity, are now called downloads, and users don’t have to add whole albums to their collection anymore, but can instead just mark them as favorites, which similarly works for stations, artists, or single songs. All of this is part of an effort to rid the service of metaphors that may have made sense back when music services were still just catering to folks with really large record collections, but don’t have a place in a world where Pandora has close to 80 million monthly active listeners. Rdio isn’t alone with its attempt to win over some of those listeners from Pandora. Fellow subscription music service Rhapsody has been targeting the online radio crowd with its unRadio product, which it rolled out in the U.S. in partnership with T-Mobile, and recently brought to France, and consumer electronics giant Samsung has been making some waves with its Milk music service. To make itself more attractive to new users, Rdio also hired a bunch of in-house curators to build around 100 curated radio stations. Even with some differences in their execution, the logic between all of those efforts is the same: A significant amount of consumers may not be ready, or ever willing, to shell out $10 a month for on-demand access to many millions of tracks. the roadblock isn’t just the cost of such a subscription, but also changing music consumption behavior, with people moving away from listening to entire albums, and towards a more passive, curated experience. However, even with a new revenue stream, Rdio remains a small player in this game, and Apple’s recent Beats acquisition as well as YouTube’s soon-to-launch subscription service put further pressure on the company. ne could argue that, in light of these developments, relaunching the service with a heavy focus on free streaming isn’t just about stealing users away from Pandora. It’s also about demonstrating the kind of growth that potential buyers like to see in a company. Rdio’s deal with Cumulus valued the company at $500 million. If Rdio succeeds at attracting a lot of new users, it may actually be able to find someone to pay more.